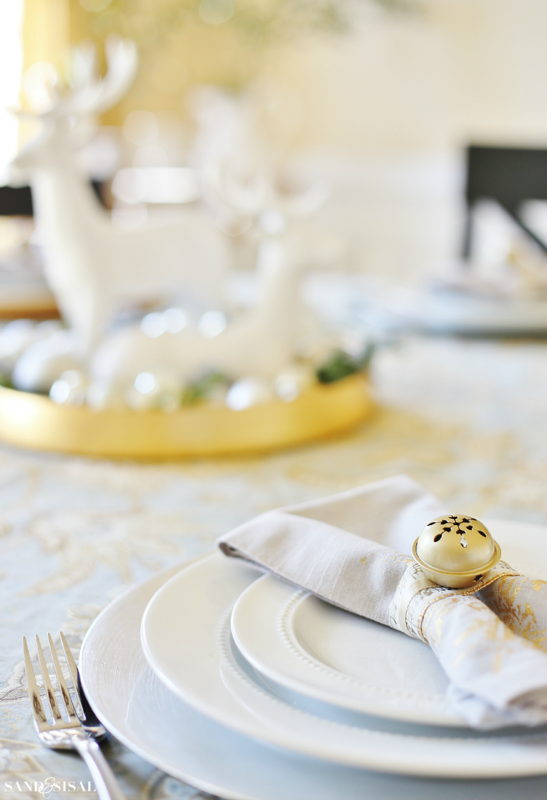 Dressing up the back of any dining room chair is a simple way to add an extra special touch to your Christmas decor. 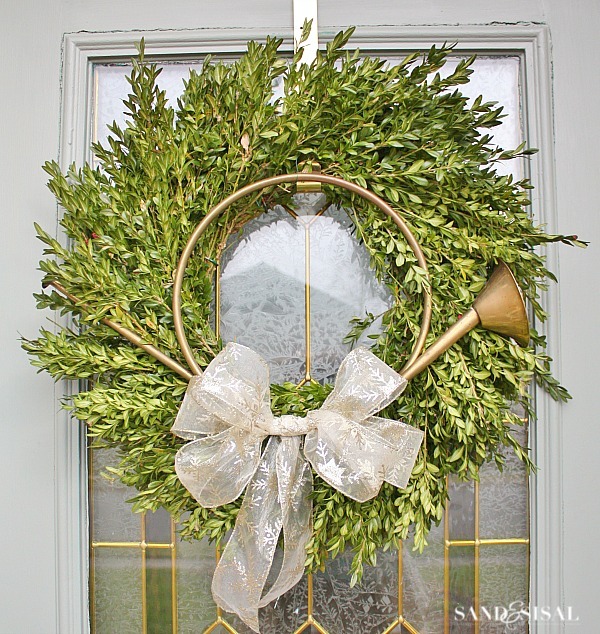 If you visited my Christmas Dining Room Tour then you saw the pretty little gold and cedar Christmas horn chair swags. Today we’re going to take a look at how to make easy holiday chair swags with just a few items you most likely already have on hand. Head into the back yard and see what type of evergreens you might have (or that your neighbor has) 😉 . 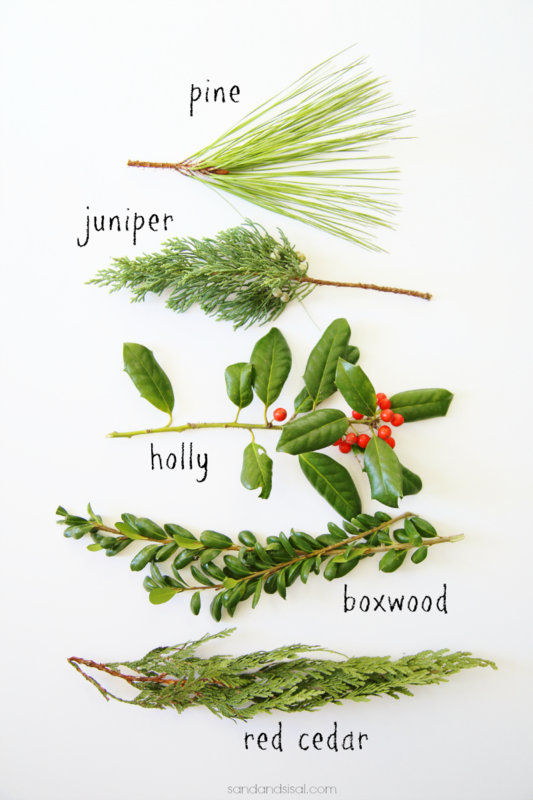 A few good evergreens to use for your holiday chair swags are pine, juniper, holly, boxwood, and red cedar. All of these will last for at a week or two after they are cut. Choose one or group several together to use for your chair swag. Take into consideration though the type of chair back you have. If it is an open slat back then maybe the holly clippings wouldn’t be a smart choice. No one likes being poked by sharp holly when they sit down in their chair! 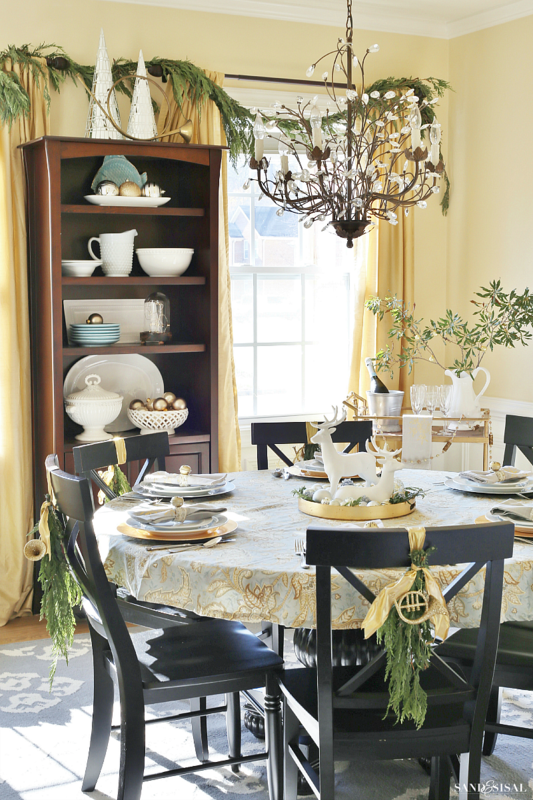 Save the holly for an upholstered chair back instead. Step 1) Cut evergreen clippings with hand pruners that are approximately 12″-15″ in length. Step 2) Place the cut ends into water for 20 minutes. (Giving the greens an extra drink helps prolong freshness). 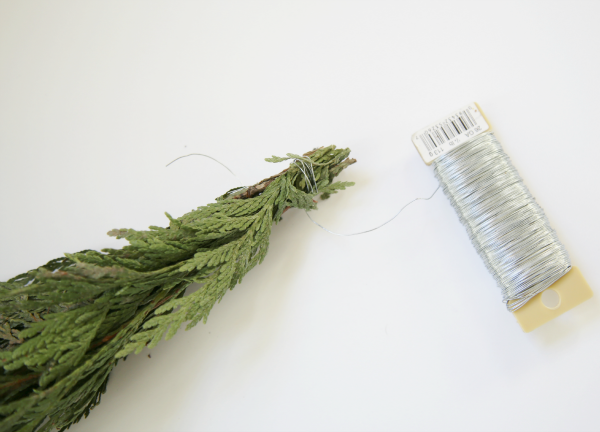 Step 3) Gather a few clippings together in a bunch and wrap ends with florist wire. Step 4) Tie a ribbon onto the chair back and then use the ribbon to tie on the swag. You can tie a simple knot or bow. 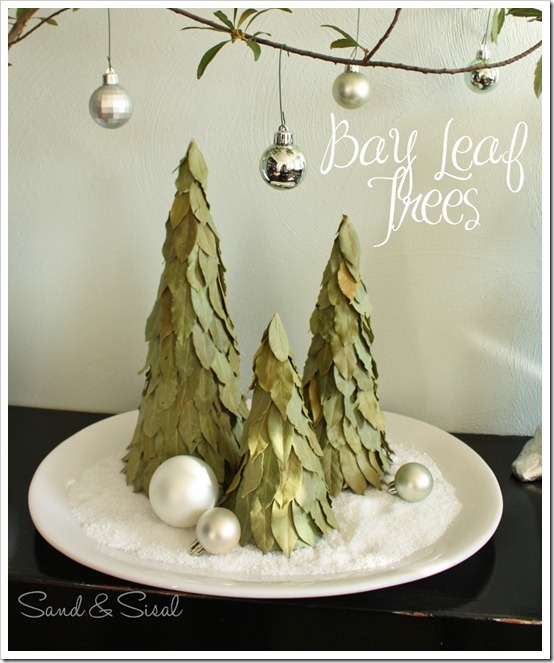 Step 5) Embellish with ornaments, pinecones, etc. if desired. 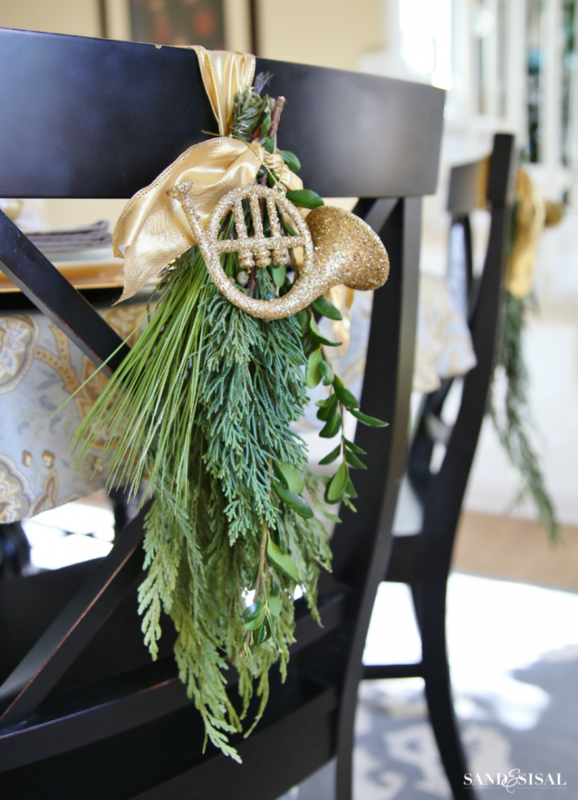 I chose to use red cedar as the base for my chair swags in our with little sprigs of pine, boxwood, and juniper. Red cedar has very flat, soft, and pliable leaves. If you don’t have a specific type of everygreen in your yard then consider buying clippings at Home Depot or Lowes. HD carries red cedar garland too ($15 for 20 feet) which can easily be cut up and made into swags. Many Christmas tree lots will also give away the pine clippings for free. See, I told you it was easy! 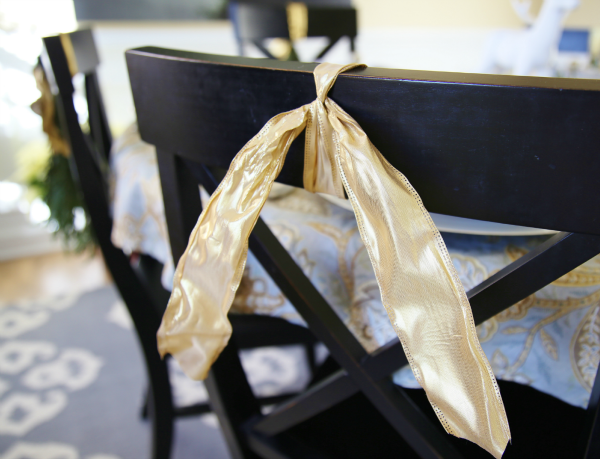 Go get your swagger on and make some easy holiday chair swags today! Very pretty! Looks really nice with the black chairs. Merry Christmas! I love these and they really stand out against the black.